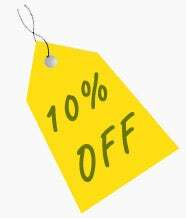 I am the Sales Manager of our busy fishing Superstore and mail order centre in Winforton, Hereford. 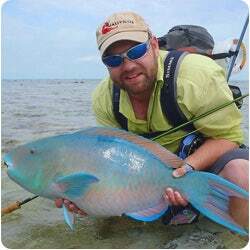 I have been fishing for over 40 years, and have travelled the world in pursuit of many species of fish. I have visited Arctic Russia and North America in pursuit of salmon and have enjoyed saltwater fly fishing in destinations such as Cuba, Venezuela and North Carolina. 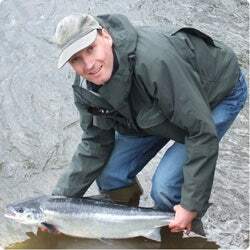 Steve is the Assistant Sales Manager at Sportfish Winforton where he has worked for a number of years. Prior to that he served his country in the Armed Forces. He would describe himself as an all-round angler, but he is happiest with a fly rod in my hand. 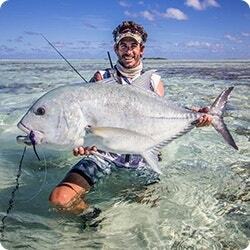 He has been lucky to fish a number of destinations over the years; Cuba, Belize, Australia and Norway to name but a few, however he still has one or two destinations on a to-do list which include the Seychelles, Argentina and Iceland. I joined Sportfish in 1999 from American tackle giant Orvis. I was the retail manager of the Sportfish Reading store during its building, setting up and early years. In 2003, I relocated to the Sportfish Mail Order HQ at Winforton where I am currently the Buying and Catalogue Manager. 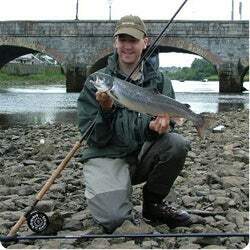 I am lucky enough to have fished many of the rivers and loughs in Ireland and I am the resident expert on Irish Salmon and Sea-Trout fishing. I also have an unrivalled passion for big game spinning with light tackle. I have worked at Sportfish since 2003. Starting initially as a work experience placement after leaving Sparsholt College then earning promotion to assistant manager followed by store manager in 2008. I have fished in Norway for salmon, in North America for Steelhead and in the Bahamas for Bonefish. I have been with Sportfish since 2008 and have a broad fishing background. 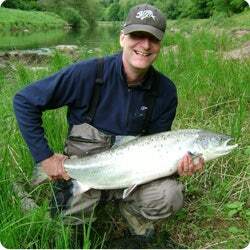 I am an instructor at the Sportfish Reading store in both single and double handed disciplines for trout and salmon. When not teaching at the store or helping in the shop I can be found guiding chalkstreams for trout in the summer and grayling in the winter. I joined Sportfish in 2016, having retired after 30 years’ service as a police detective. 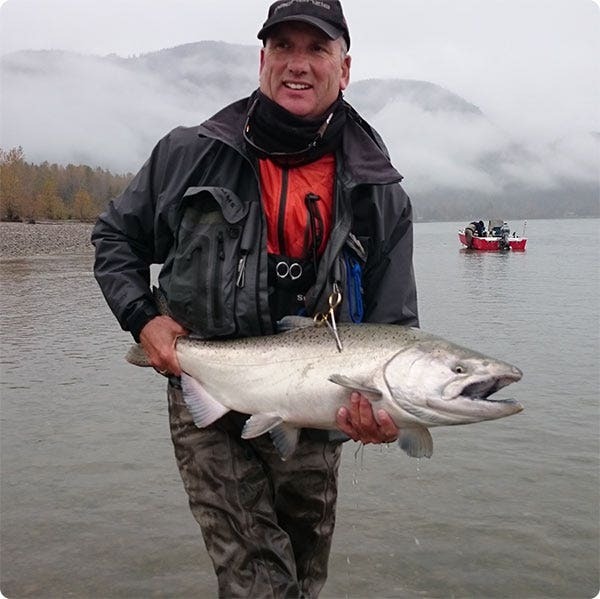 Although I am an experienced fisherman I am continually seeking to develop my fly fishing skills and knowledge and being based at the Sportfish Game Fishing Centre allows me to do just that. I have fly fished in locations such as Mexico, Cuba, Iceland, the Canaries and Madeira and, in addition to working in the shop, I have also taken over the supervision of the two onsite lakes. My aim is to help provide a peaceful setting for people of all skill levels to catch fish and to create a safe environment for both anglers and wildlife. I joined Sportfish in 2018, having started my love of fly fishing from the age of 13. 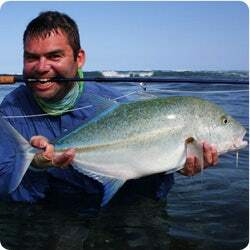 I have fly fished in locations such as South Africa, Mozambique and Chile, in addition to St. Brandon’s Atoll, Farquhar and Alphonse Island. I am also a keen fly tyer - so do ask me for advice when you call in-store! I have been working with Sportfish since 2011. 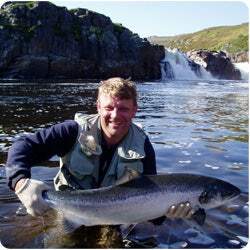 I have fished for Salmon both at home and abroad including Russia, Iceland and most recently Norway. I have also had the good fortune to have fished in various tropical saltwater destinations including Mexico. 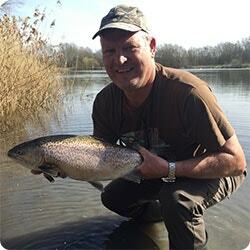 I started with Sportfish in Reading back in 2008 having relocated from Derbyshire. I grew up trout fishing on small rivers and lakes then progressed onto reservoirs and represented England 3 times as a youth. I qualified as an instructor at 16 and have competed in casting competitions up to World Championship level winning many titles along the way.